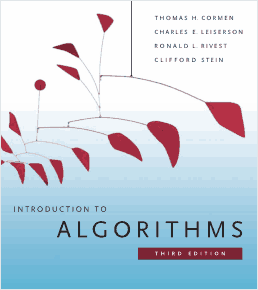 Introduction to Algorithms is a book by Thomas H. Cormen, Charles E. Leiserson, Ronald L. Rivest, and Clifford Stein. The book has been widely used as the textbook for algorithms courses at many universities and is commonly cited as a reference for algorithms in published papers, with over 10,000 citations documented on CiteSeerX. The book sold half a million copies during its first 20 years. Its fame has led to the common use of the abbreviation “CLRS” (Cormen, Leiserson, Rivest, Stein), or, in the first edition, “CLR” (Cormen, Leiserson, Rivest).